Valentine’s Day for us was a wonderful and quiet dinner at home. We love our kitchen and our dining room, so it seems a little silly to spend money fighting the crowds at a restaurant when we can spend time together making a special meal. We opened an amazing Australian Shiraz, grilled some steaks and Wendy whipped up a simple but succulent dessert. Things around Vander Well Manor have stilled in the past few weeks. First, Suzanna headed back to school. Then, I helped pack up Taylor and move her into the Catholic Worker Community in Des Moines. She has been living with the community and volunteering service there part time for a few months. The community chose to welcome her as a full-time resident. She will work part-time at the art store in the Drake neighborhood, is doing some ghost writing for a friend, and is going to work on a creative project God has put on her heart. I have, in previous posts, written that God calls us to steward our children, not to be their masters. I will admit that as I toured her new home there was a paternal part of my head vigorously shaking. Seriously, if Martin Scorsese wanted to film a movie about 1960’s hippie-commune-counter culture they could just bring the cameras into Taylor’s new place and start filming. It’s a ready-made set. It suddenly struck me that my daughter is a Bohemian. Having said that, she is blissfully happy, feeling a sense of purpose, and who am I to say that this isn’t totally God’s purpose for her. In fact, my heart tells me she’s right where she is supposed to be. Far out, man. Madison was overjoyed when United started serving a Pella favorite: stroopwafels! Madison continues to fly for SkyWest (United Express), though she has been applying for sales jobs in the cosmetics industry. She turned down a job offer in South Carolina. Once again, a part of my paternal head was shaking at the thought of turning down a perfectly legit job offer (especially in this economy), but she has a job and it’s becoming clear that her heart is in the Rockies. Dad is learning a whole new level of letting go. Madison has applied for small apartment in Colorado Springs and is opting to commit herself in Colorado Springs for the time being. When she’s not flying the friendly skies for United Express she’s been a rep for Derma Doctor at Ulta stores in the Colorado Springs and Denver area. Work has been keeping me very busy. In fact, I’ve been feeling a little weary. If regular readers have noticed that I’ve been missing an occasional morning post it’s because I have. Between the busy and feeling a little sick I have been trying to catch up on sleep and my morning quiet time has been sacrificed. At work, I have been trying to get new projects off the ground, wrap up some delayed 2015 projects, and working on marketing efforts to bring in some new business. Ugh. Every day the task list seems to have added more new items than the number of items I had checked off that day. I spent the earlier part of this week in Texas working with a client. I left Sunday afternoon and missed the Super Bowl as I was making a three-leg flight to Laredo. I then ended up in San Antonio and flew home on Wednesday, arriving in Pella just before 1:00 a.m. They were a long few days, but at least they were relatively warm days. I even finished a little earlier than planned, so I stopped for a few minutes at the McNay to sun myself in the courtyard before flying home. I had a short night’s sleep as I had been invited to be the chapel speaker at Pella Christian High on Thursday morning. It was an honor to be asked and I enjoyed the experience. On Thursday evening, Wendy and I donned our costumes to portray Pella’s founding couple, Dominie (Pastor) H.P. 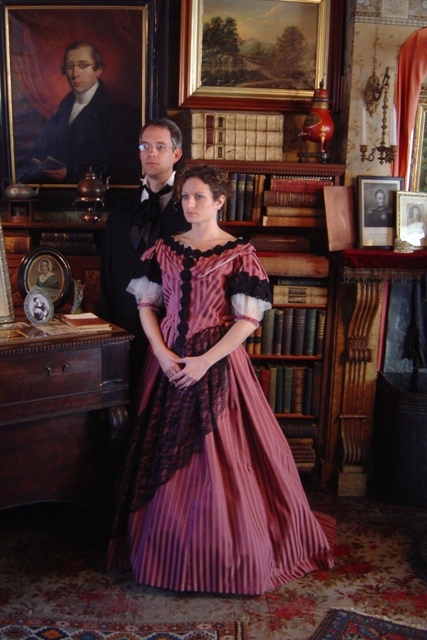 Scholte and his wife Mareah, at the Scholte House Museum’s 2nd annual Valentine’s Day Dinner. We greeted the 30 or so guests as they arrived. I gave a short welcoming message and prayed for the meal. We then enjoyed a five-course meal and were pleased to sit next to Dr. James Dahm and his wife. The Dahm’s had previously owned our cute little house on Columbus Street and so we enjoyed talking about the house and the neighborhood. The weather has been cold and snowy, and we are so ready for the spring like temperatures (in the 50s!) that are forecast for next weekend. Wendy and I scuttled a planned trip to Des Moines today because of the 3-4 inches of snow that fell this morning. Ugh! Why did I blow the driveway off the other day? Oh well. Don’t worry. Be happy. The Cubs’ pitchers and catchers report to Spring Training next weekend. We’re almost there! There has been a small yet intense debate among local historians and traditionalists in our little town over recent months. The debate concerns the wife of our town’s founder or, more specifically, the spelling of her name. The town has always held that her name was spelled “Mareah,” but archival evidence suggest that her name was always spelled “Maria” on legal documents and the spelling change seems to have occurred in her adult years. It is now believed that the change occurred around the time of a major shift in her life: the death of her husband and her subsequent marriage to a younger man who was the age of her son. And so, the debate quietly continues regarding how we should spell her name today. The rather meaningless debate has been a quiet reminder to me that things change. We all go through dramatic changes in life. Life’s journey can take abrupt and unexpected turns, especially when you’re on a faith journey. Today’s chapter chronicles one of the most dramatic and unexpected turns in history. Saul of Tarsus was a radical and conservative Jewish leader intent on persecuting, imprisoning, and/or killing any man or woman who claimed to be a follower of Jesus. Then, on his way to round up some Jesus followers in the town of Damascus, Jesus reveals Himself to the zealous persecutor. In one dramatic moment, Saul’s life takes an abrupt u-turn. Things change. Saul would become Paul. His life would never be the same. The persecutor of Jesus followers would unexpectedly become their greatest champion. For the rest of his life he would push himself to incredible physical and spiritual limits, ceaselessly suffer the persecution he’d once afflicted on others, and constantly proclaim that Jesus was exactly who He claimed to be. Paul would change the course of human history. Things change. People change. It was at the core of everything that Jesus taught. Fishermen became fishers of men. Enemies become friends. Hatred is transformed into love. Anger and bitterness yield to grace and kindness. Sin is washed away by forgiveness. Darkness is pierced by Light. Death is swallowed up by Life. 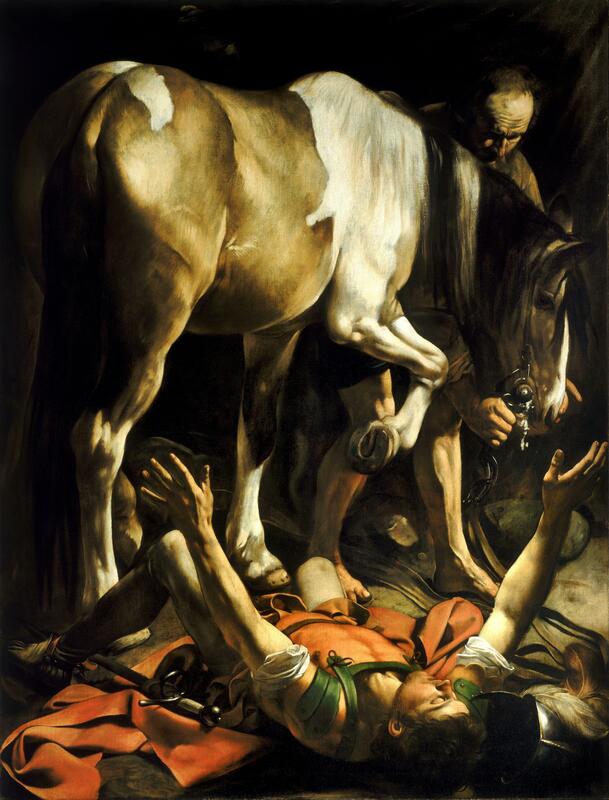 Saul the executioner becomes Paul the evangelist. You and I, we can change, too.